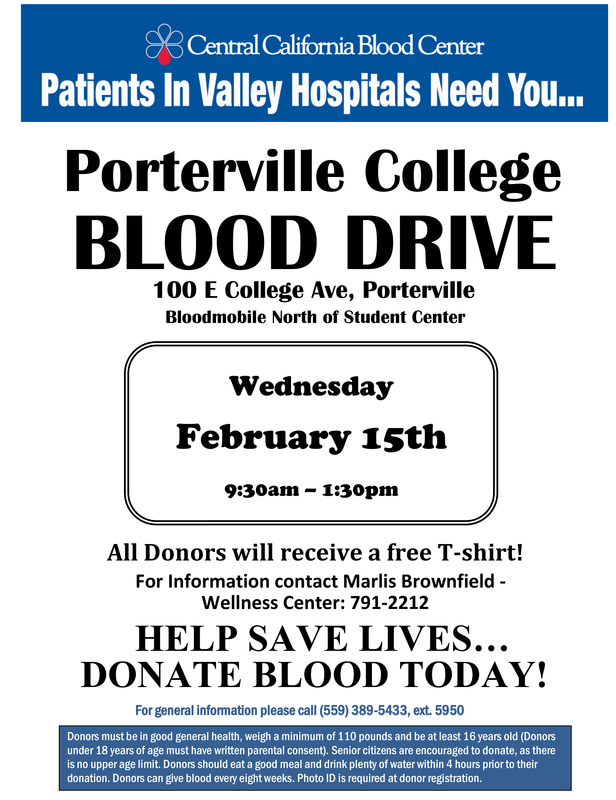 The PC Blood Drive this Wednesday, February 15, 2017, from 9:30 to 1:30 in the Quad area. Donors will receive a free t-shirt. Please remind those who would like to donate, to be sure to have a good night sleep beforehand, and have breakfast that morning. Also, to be well-hydrated. Thank you for supporting this very much needed service. For more information, see flyer below.